Tin cans are not just for stacking up in your cabinet, tossing in the trash or sending to the recycle bin. For a while now I've been seeing tons of great craft projects made with tin cans of all sizes. Besides making fabulous craft and décor projects, tin cans are also frequently used for storing and organizing. 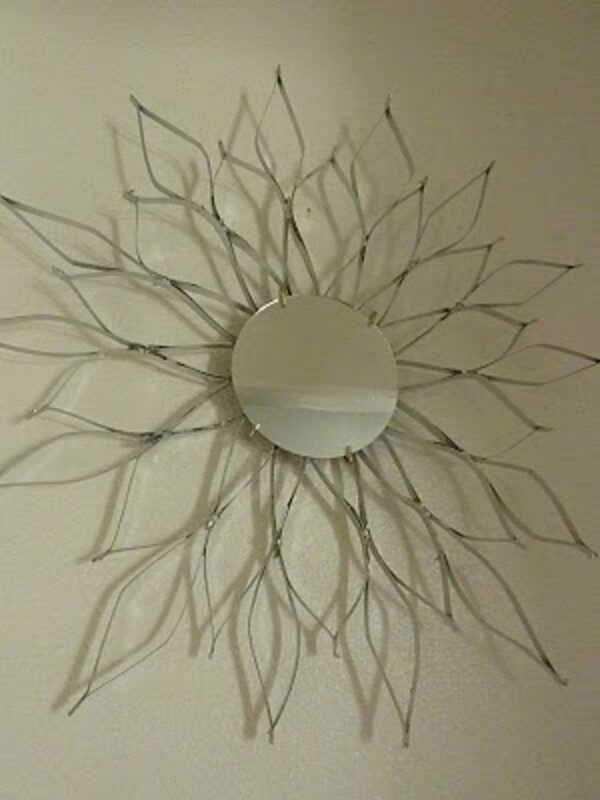 I love these types of crafts that re-use and re-purpose normal things we have around the house. Not only are you doing something positive for the environment, you also save time and money by using something that is always available and practically free. I am happy to share this round-up of all the best tin can crafts I could find around the internet. Most of them have tutorials and additional photos so be sure to click on the links to go and have a look. A couple of things about safety- You can buy special can openers that will open cans without leaving a sharp edge, these are great to use when you will be using the can later for arts and crafts. They cost about the same as a regular hand held can opener. Also, make sure to always wear good sturdy gloves when working with raw cut edges of tin cans. They can be really sharp. As usual, when I do these craft round-ups, I find myself greatly inspired with tons of ideas so I thought I would share a few of them as we go along. I would love to hear any ideas you may have in the comment section. 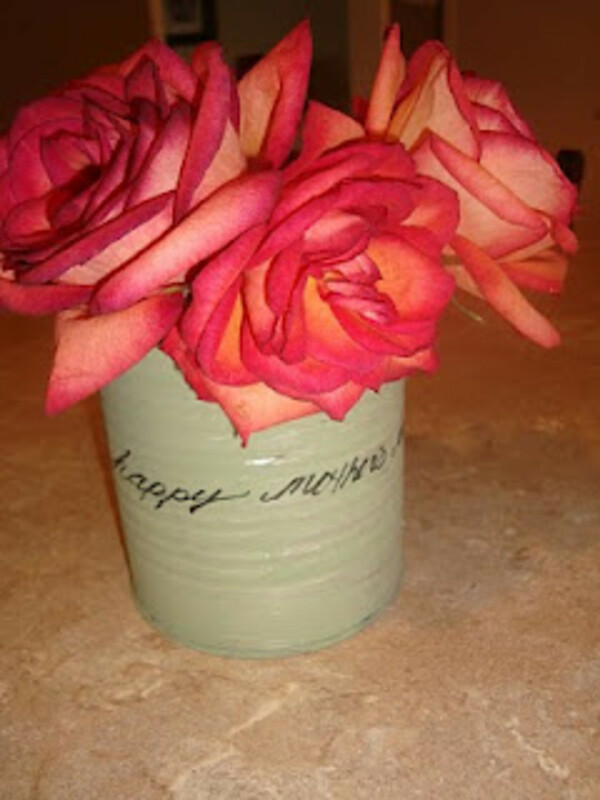 If you are into that rustic look, you will probably love this vase tutorial I found at the thrifty crafter. It's made from a tin can wrapped in jute. 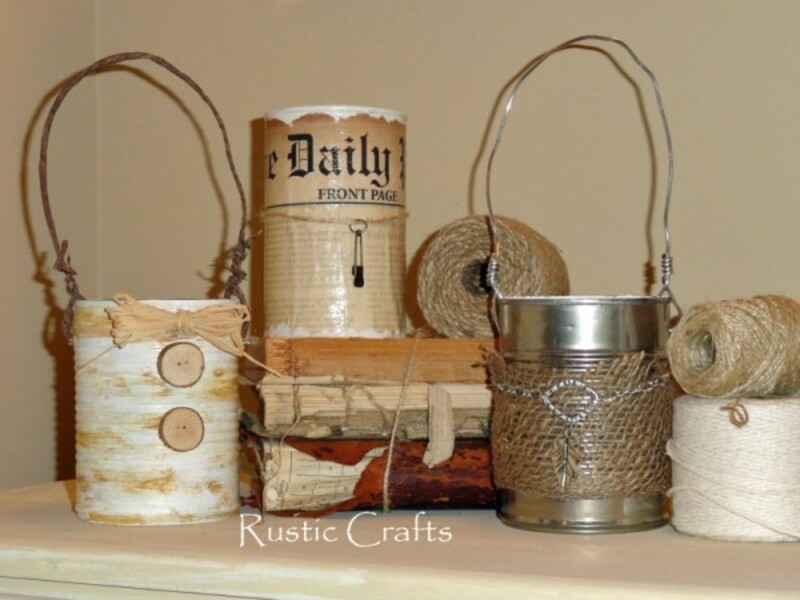 You could also use other things to wrap around cans to achieve that rustic look. I have never seen a lamp shade made out of a tin coffee can but I found this one at Home Dzine and LOVE it! 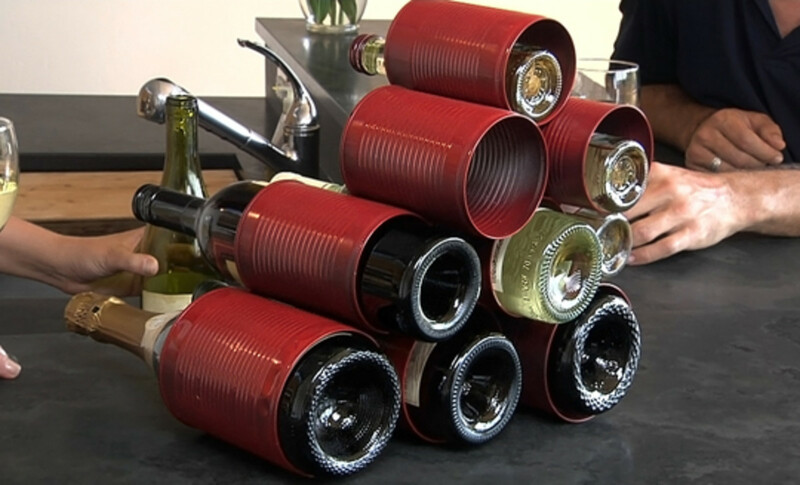 What is really nice is they have shared the tutorial so everyone out there who is saving those large coffee cans (or even the smaller ones) and do not know what to do with them, here is just one option. The tutorial specifies using a Dremel which is excellent because you can cut any shapes you want with the metal cutting attatchment and the Dremel also has grinding stone bit that will help grind down any sharp edges. You can choose to do an entire lamp shade or you could do a wall mounted sconce type light. You could even do a hanging light if you wanted. At My Country Blog of This and That I found these darling primitive candles that were made with just regular tin cans. 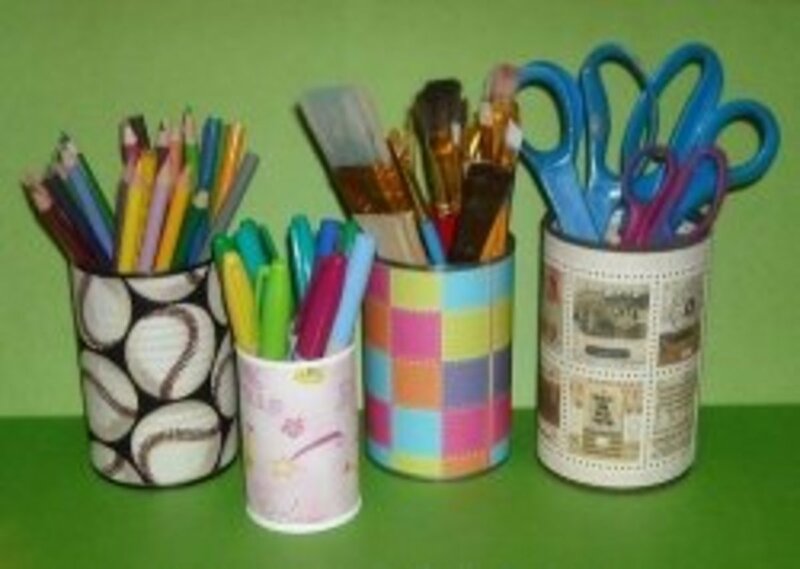 Also, in the same style, she made a can for storing pens and pencils on her desk. 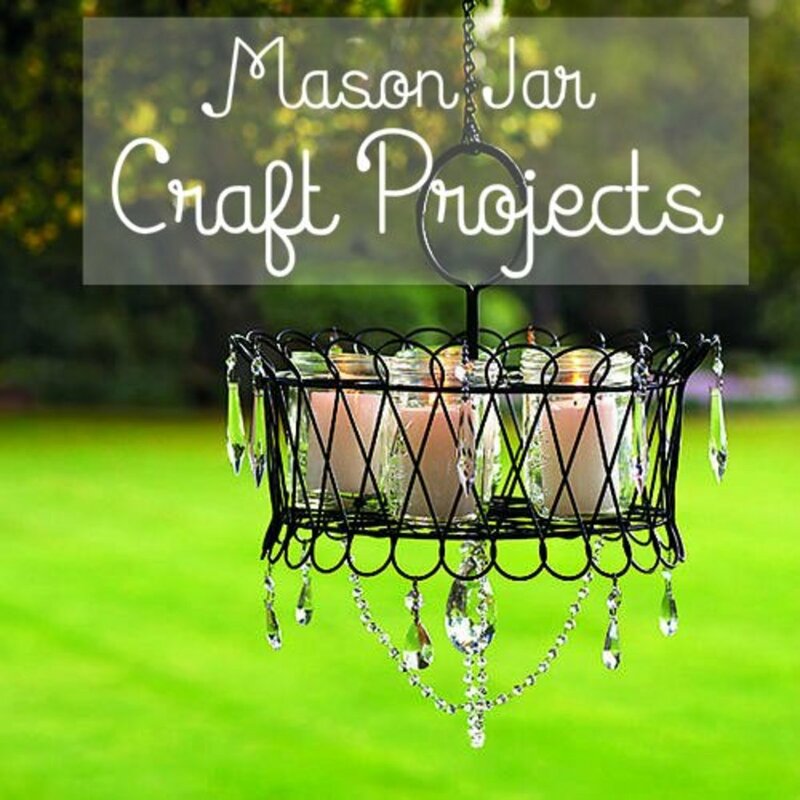 If you are into country primitive décor, these are impressive and easy to make. She explains exactly how she did it and also gives lots useful tips along the way. You could use shades of pink or lavender color paint to paint the can with pastel artwork or print and wrap a ribbon bow around it for a softer, feminine look. Use black and/or white paint to paint the can and choose artwork with a pop of red or hot pink for a modern and elegant look. You could wrap the whole can with a print or pattern and add wrap it with suitable ribbon and a bow. I can never get enough of that rustic look. 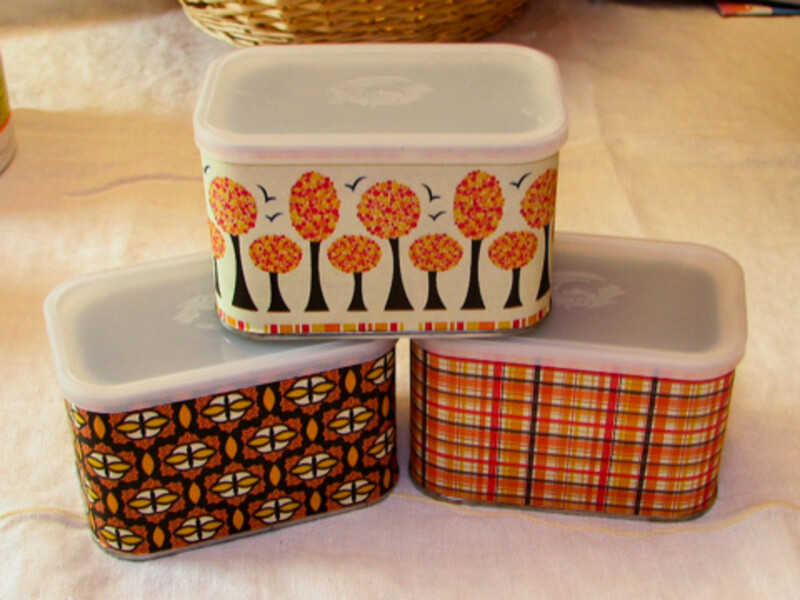 Look at these tin can goodies I found at Crafts and Chic Décor. LOVE the one wrapped in the old newspaper print. There are really all different ways you can make these cans have that country, sort of rustic look. Paint the can a cream color and then add some light blue or pink paint over it. Sand around the can to make it look like the paint is worn and let some of the cream paint show through. Wrap a wide piece of lace around the can and then glue some sort of bow on the front and add a matching button to embellish. 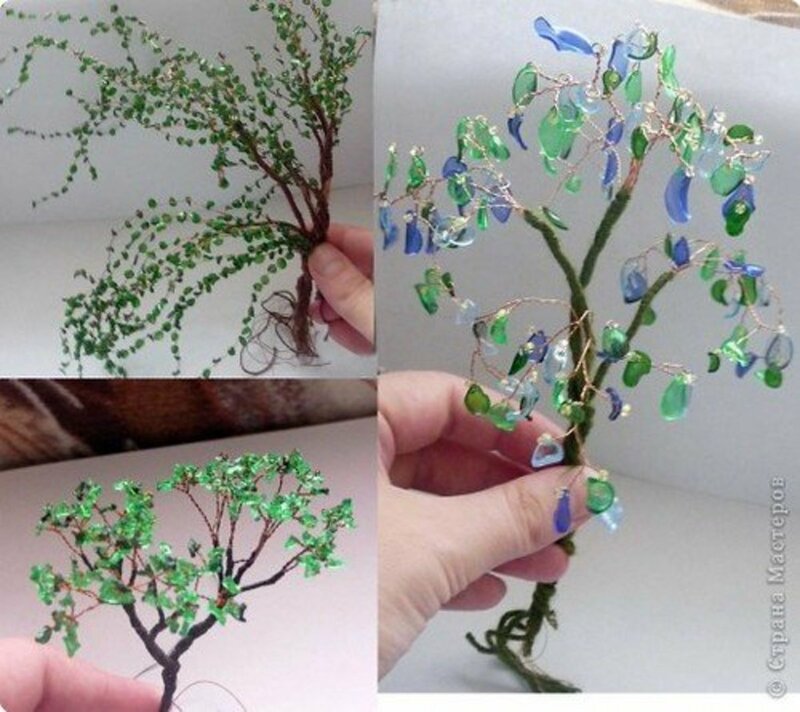 For wedding centerpieces, because it is taller, I think it would look nice with crystal drops hanging around the bottom edges-either connected directly to the bottom edge of the tins with an o rings. I think it would look nice with lots of greenery in each tier with some cascading over the edge with pops of color here and there with maybe some roses or begonias strategically placed. Of course, you could embellish the outside of the cans with glitter, crystals, etc. How about growing herbs in each tier and maybe labeling each tin with the name or making cute labeled picks to stick in each tier with the corresponding herb. 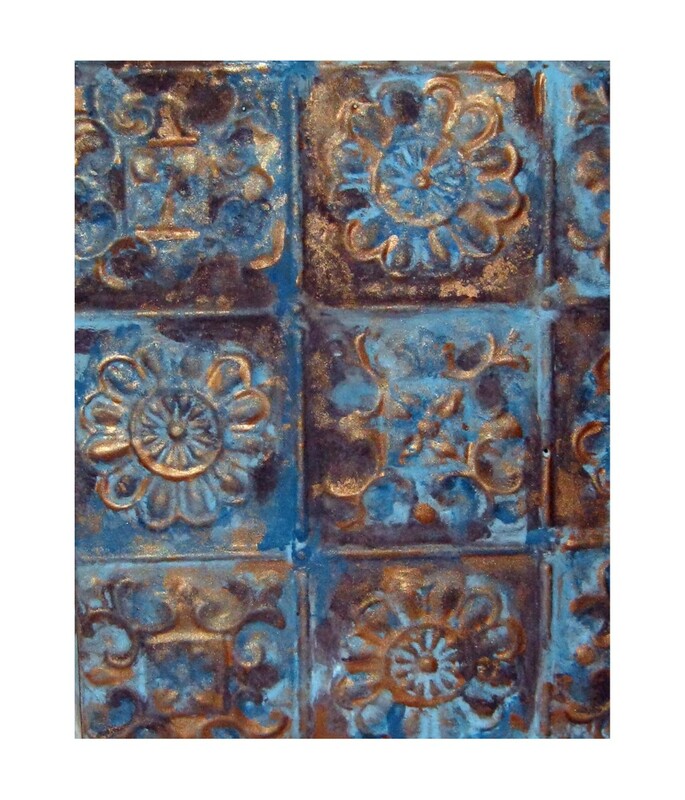 I wonder if you will be as surprised as I was when I learned these were made with square pieces of craft foam instead of real glass tiles glued onto tin cans! Yep, you heard me right! I ran into these at Instructables via Creativeman and creative he sure is! These mosaic containers look heavy and just like the real thing and I just love the matching lids. This is one of the most impressive crafts using tin cans that I've ever seen. I can not wait to make some of these for myself. I just hope they come out as nice as these. 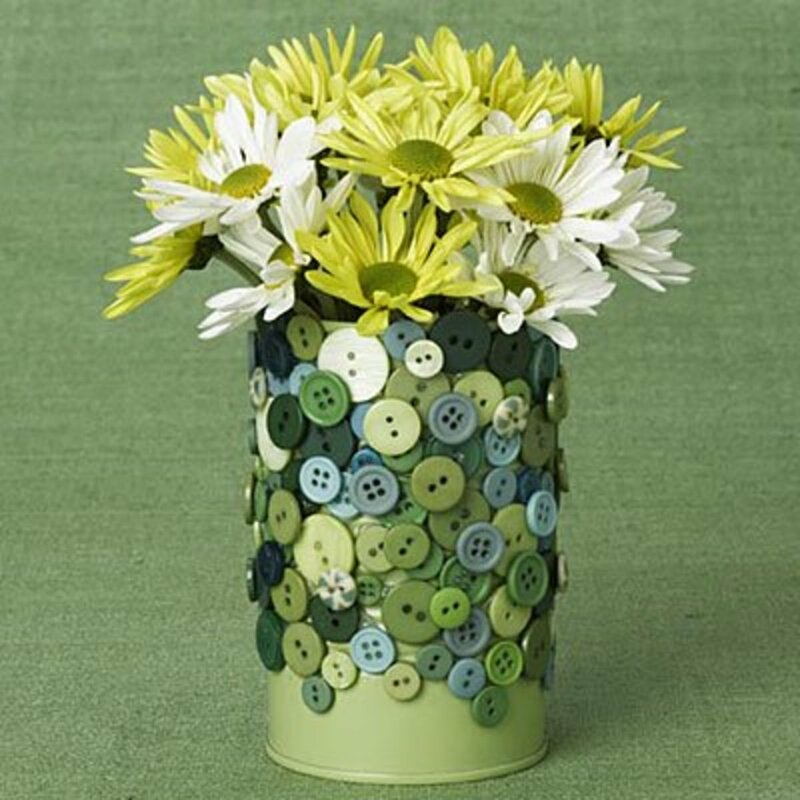 All You has a post showing how to make these button covered tin cans and anything covered with buttons is super cute in my book. I like how all of the buttons are in coordinating colors of greens and blue. Glue buttons on the can in vertical or horizontal rows. You can do rows of different colors or vary the size of buttons in each row. Drill some holes and add a wire handle..then you have a little button bucket. I think they would look nice placed in neat rows or columns too. Perfect for putting on a wall near a sewing machine to help hold all of your sewing accessories like threads, buttons on cards and even material remnants and scraps. How about poking holes in the middle of the bottoms of the cans and mounting them on the wall open side against the wall. Then add ribbon inside the cans and feed it out the hole in the bottom of the cans... ribbon dispensers! They would be great in the bathroom to hold Q-tips, cotton balls, razors, bars of soap, etc. I found this at Scout's Stitches via BHG. 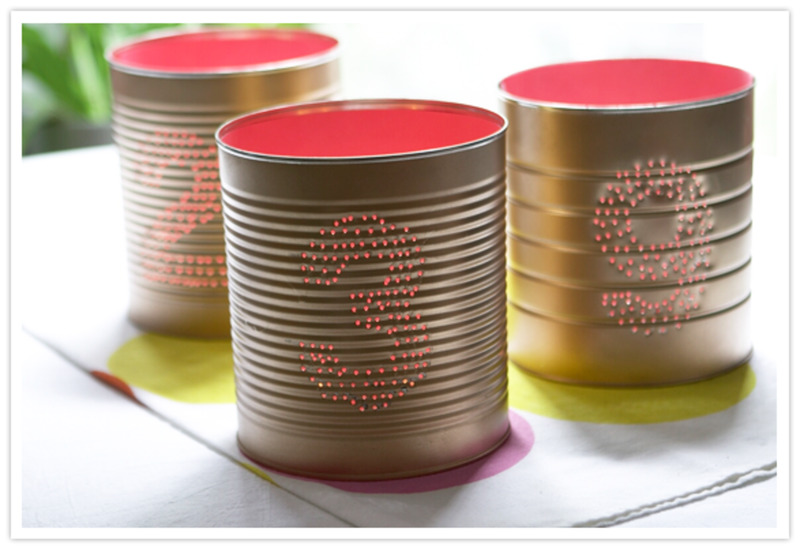 Using punched tin can lanterns as table numbers for weddings receptions is such a neat idea! I think they look great plain but I think you could definitely glam them up if you wanted to. I found these and tons more great stuff at 100 Layer Cakes. To add some glitz, after they are painted your wedding color, embellish them with a coat of glitter. Krylon has spray on glitter paint now! For even more sparkle, embellish them with crystals or rhinestones- You could even cover them with crystals that match your wedding theme/colors. I knew I had to share this seed bead covered can when I saw it at sewcraftalicious. I love seed beads.. they come in different colors and shapes and they make such a pretty embellishment.. You can apply them in a pattern or do a sprinkling of different colors and shapes like on this can. There are lots of different colors to choose from when it comes to seed beads. 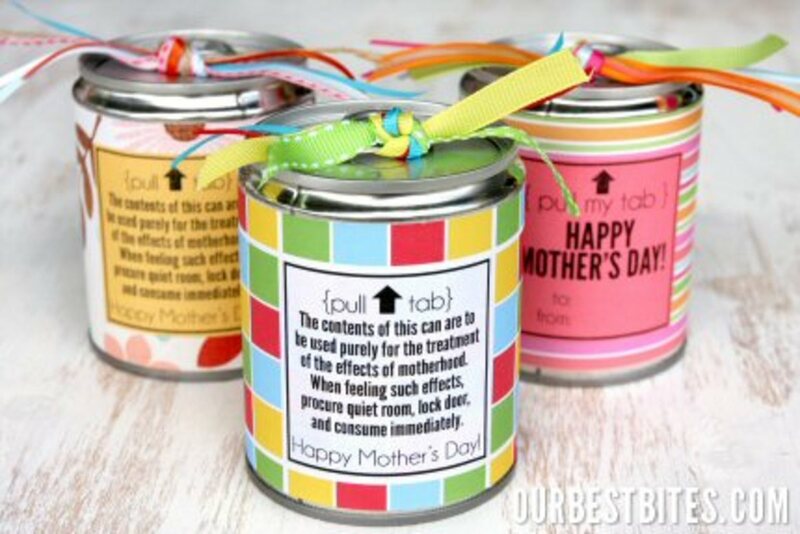 You could also make these cans to use for decoration in your home for each and every holiday if you wanted.. just throw in some flowers and you have a cute vase, put a candle in it or use it as a pencil/pen holder. You could also use these cans to hold napkins, utensils, etc for summer parties and picnics. In the tutorial it says to use a hammer to punch the holes but I think you could probably use a drill also if you wanted. You could drill different sized holes by changing the size of the drill bits. You could even use a Dremel with different attachments if you wanted. They even have a Dremel attachment that you can use to cut shapes into metal cans. DO be very careful when working with cutting these cans! Make sure the cans are firmly in place when you are working on them and as always use high powered tools with care! It's also a good idea to wear gloves and safety goggles. What a creative idea! I have never seen anything like these hanging tuna can candle holders I found at Crescent and Old Lace. Even though they look to be mounted on the wall, they are actually suspended with strings of jute that is connected to a wooden hanger. You can see lots of other photos plus the instructions how to make them at the link. This one really sparked some ideas..
First thing I thought was that you could also use those cans that have wet cat food in them. They are similar in shape and size to tuna cans. I was picturing some with pretty patterned paper covering the inside of the cans. I think that would really add to the look but I'm not really sure if this is a good idea or not because of the candles. You could paint the inside of the cans if you wanted. You could do them all different colors or a particular color. What about embellishing the insides with glitter... I bet they would really sparkle with the candlelight. WHAT mounting these cans on a string of lights. Drill a hole and somehow anchor the lights in the the hole... that way, you really could use papers inside and the lights would illuminate each one. Sounds very pretty! If you are really big into organizing and shabby chic is your style, you are going to love this one that I found at Shabby Chic Inspired! This is a tin can storage caddy made with all different sizes of tin cans. 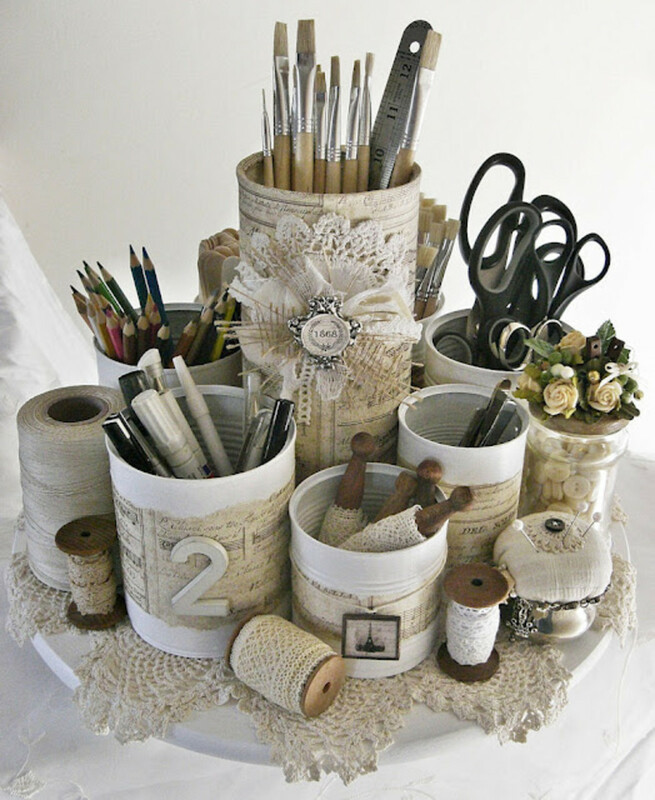 She doesn't share the tutorial for this particular one but she does include a link to the place that inspired her to make it which is Cynthia Shaffer and a detailed tin can caddy tutorial is located there. This is one of those that you can really have fun and get creative with. If you like this particular caddy, it looks like she used some handwritten letter gift wrap to cover most the cans. I love the trinkets and doily flower she used to decorate them with. You could turn the lid upside down and trace around it, cut it out and glue it on the top of the lid. This will make a perfect decorative cover for your lid. Make some 3D paper flower embellishments and glue them on top of the lid. This would make a cute gift box! Bread in a tin can! Who would have thought it?? Chasing Fireflies thought it! I LOVE the idea of giving away these breads in a can.. I've never even thought about baking bread in a tin can but it most certainly can be done. This is truly genius! Go to the link for the how-to plus a recipe for the banana bread. I just can't get over what a neat idea this is! What a sweet little gift for teachers, students, a sick friend or anybody really.. plus it would be great to give for any holiday and special occasions. Just think of all the different ways you can decorate these cute cans of bread! 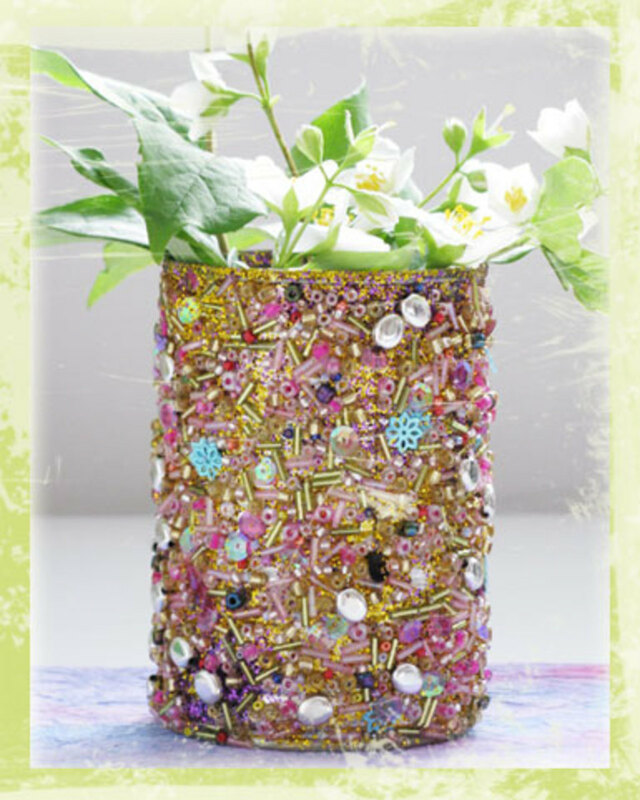 Snippets of Wonderful has the tutorial for this simple tin can vase. I like the simple look of this one.. with the one line of cursive writing on it. It is simple yet elegant with the roses inside. She painted it with craft paint and then used a sharpie to embellish it with writing. Depending on the 'look' you are going for, you could write something different or even use the sharpie to draw a unique design on it. These tin can treats are the neatest little things! It's little tin cans full of candies/goodies but you can only get to the goodies by pulling off the tab on top. How do you make something like this, you may ask? They are actually those small Del Monte canned fruits with the pull tab tops. Basically, you just open the other end/bottom of the can with a can opener, pour out the fruit to save and eat later, decorate the can and fill with candies and goodies, glue the bottom back on and give them away as gifts! To get to the goodies the recipient will have to open the pull tab on top. These tin can treats at Our Best Bites were made specifically for Teacher Appreciation and Mother's Day but they would be perfect for any occasion or holiday! i have made 6 coffee can lanters i put christmas lights in them .you can use battery operated christmas or thread the electric christmas through after finishing your coffee can lanter . 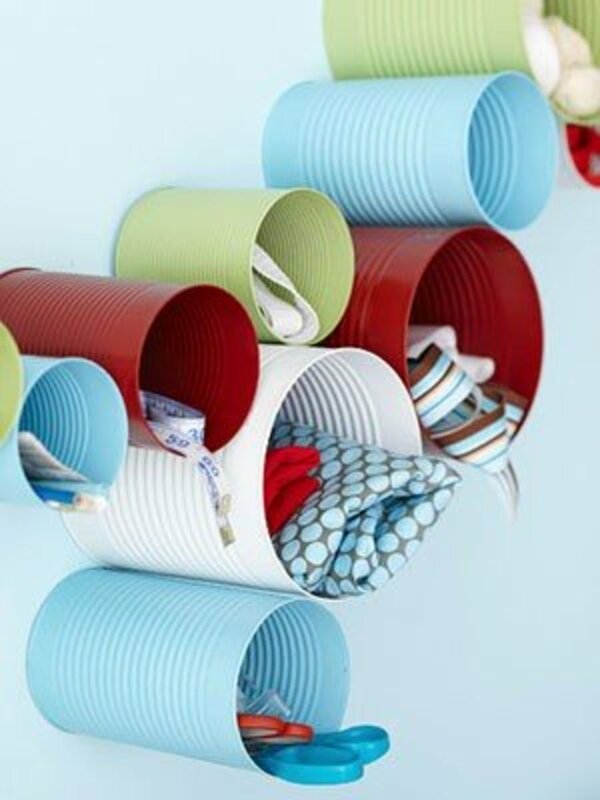 Great ideas for the tin can.Love the button and storage idea! Kathleen Odenthal- Thank you so much! I really appreciate it!! These tin can ideas are really very nice. Thanks so much for sharing. I'll be pinning this to my crafty Pinterest board. Very good information. Thanks for sharing. Voted up & informative. very nice fotos! I really love them. Once again a great hub. I love the button tin. Really gorgeous! viveresperando- Thanks.. and thanks for stopping by! ScrapbookingAU- Thank you and thanks for dropping by. lemonkerdz- You are welcome..I am particularly fond of the lanterns too :) Thank you so much for dropping by! Thanks a lot for the hub. 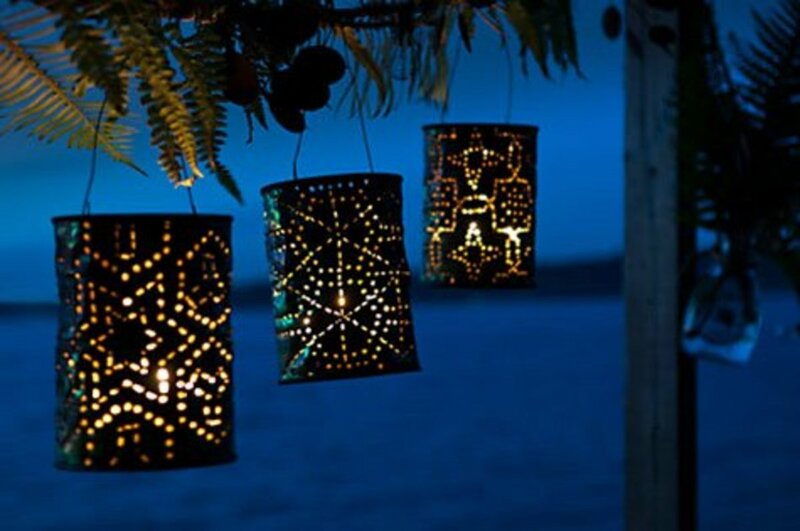 I like the idea for the lanterns and think I will be giving that one a try. Thanks! These are such great ideas! I never would have known that some of these were cans had you not pointed it out! Jezebellamina- Wow.. thanks.. so glad you enjoyed the hub! I love the jute wrapped cans as well.. and I know what you mean about the mosaic tile one.. I could NOT believe it was made using those colored foam sheets. I would have never guessed it- it looks fabulous. Thank you so much for the votes and for sharing.. I really appreciate it! 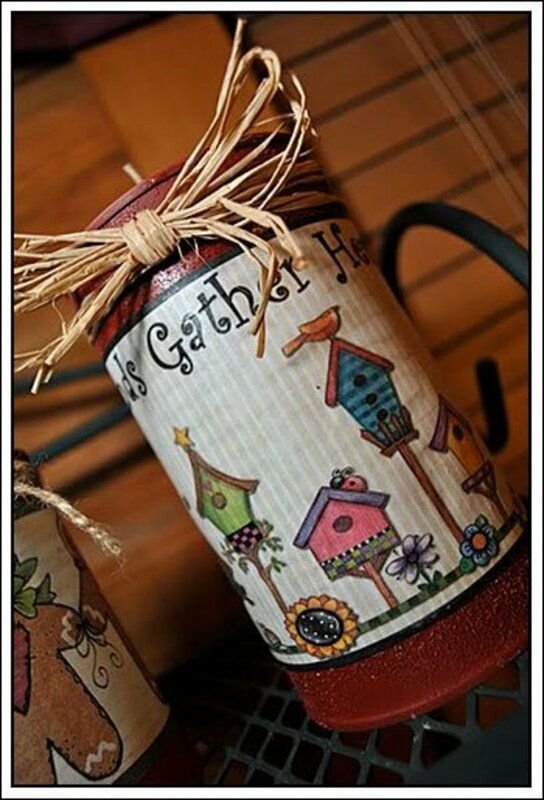 Hi Peggy- Glad you liked these ideas... one great thing about these projects - if you do decide you want to make a few of these, tin cans are so easy to come by... That's why I LOVE these kind of crafts. Thanks so much for dropping by! Tycoon Sam- Well, thank you! I'm glad you enjoyed the hub. I've got to share this with my daughter who is always looking for new recycling projects! Thanks for the wonderful ideas and hubs! Very creative Hub! I love the "Red neck" wine rack. What good ideas. I love tin cans I have one on my desk now with my pens, scissors and other junk in it. It's jus the right size. Voted uP! Pin it. What an assortment of great ideas you have assembled for us using tin cans. I like a number of them and may give some thought to doing some of this in the future. Up votes and sharing! Wow, super awesome! 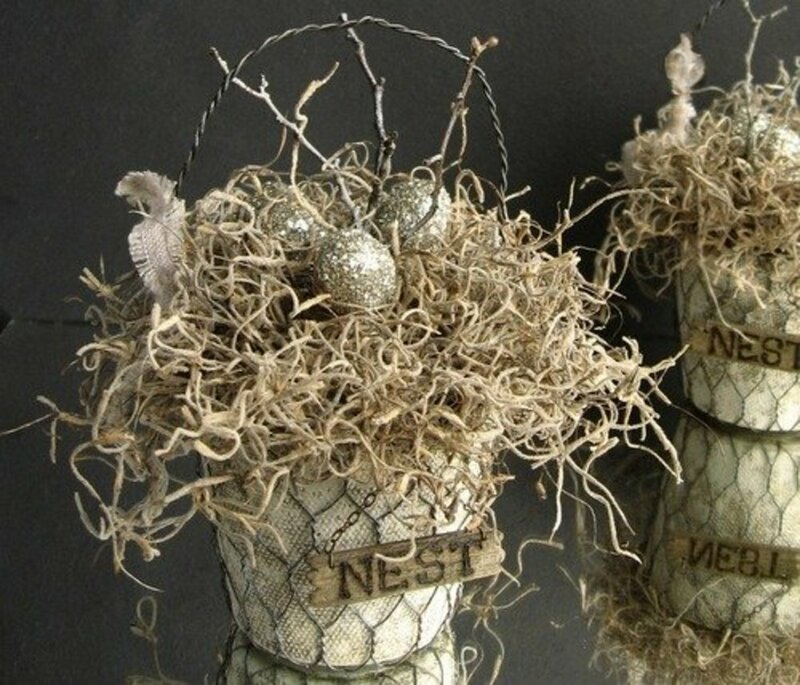 I especially love the jute-wrapped tin can; it's so very simple but still elegant! Also really dig the faux-mosaic tile can. That is something I never would have thought of! Voted up & awesome, & shared. Thanks for putting this collection together! What a great group of tin can craft ideas. Each one is cuter than thee next one. Do you really do all of these? How incredibly creative you are! That lampshade idea was too cool! Sharing and in awe of your talents. daisyjae- Thank you, so happy you enjoyed the hub. Thanks for dropping by! So many good ideas here! I love the faux tile ones. I will come back to this hub for sure. I absolutely love your great ideas. I've been saving lots of tins secretly (to avoid being discarded) and just can't be creative enough on how I could recycle these tins. Seeing all these pictures, I can't wait to copy some of your projects, if you don't mind. Thank you so much for sharing. daisydayz- Thank you... I was thinking about doing those cubby holes and using large coffee cans... just for a little more storage room. Love the wall cubby holes and the tune can candle holders, both ideas are brilliant! OH, my goodness. You are so crafty. How did you find all of these? such neat ideas. 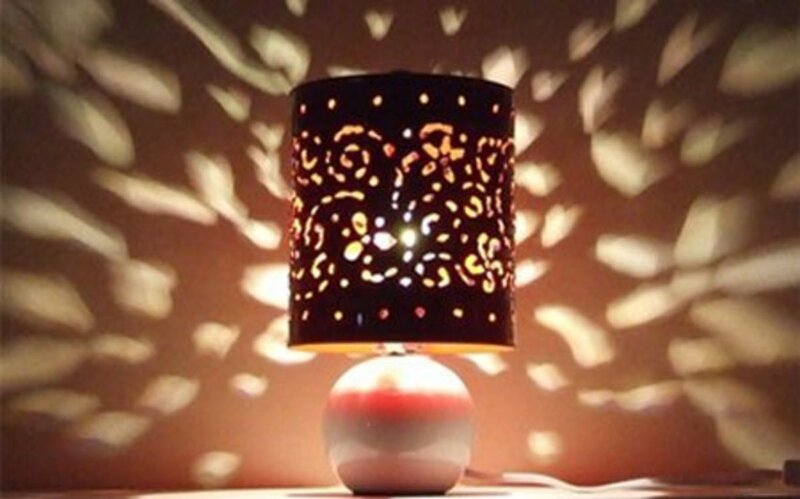 The lampshade is amazing! they all are! You are welcome, frogyfish! I am glad that I quit procrastinating and finally put this hub together. I was really surprised at all the different tin can projects out there. Thanks for stopping by! Delightful and informative can hub. I shall have to try a couple of these unique crafts. Thank you for sharing your ideas and links here! vox vocis- Thank you for the votes and sharing.. 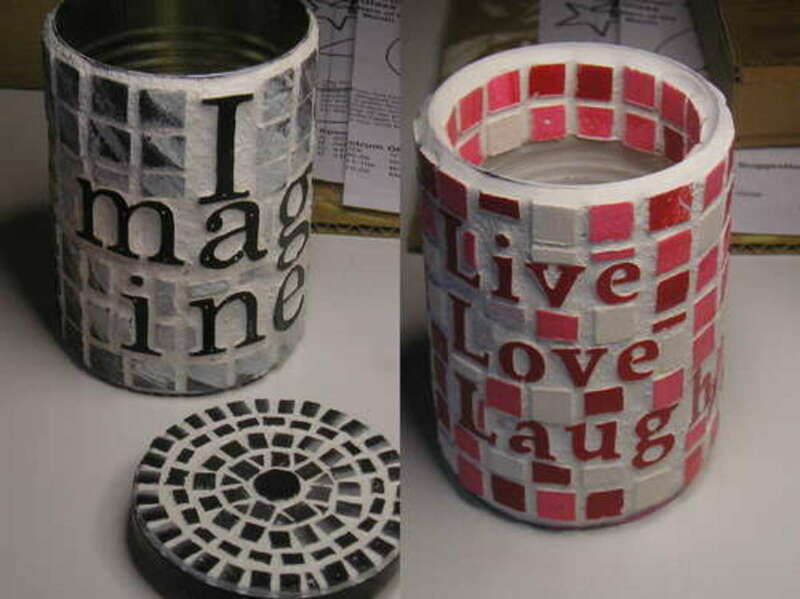 I am so happy that you like these tin can projects! Yes, I LOVE those foam tiled cans.. I think they are amazing! I hope to be able to make some of those myself..very soon. Thank you for stopping by! Wow! I'm saving this hub for future reference (in my computer file now that the bookmarking feature on HP is discontinued). All the ideas you've described are amazing, but the square pieces of craft foam are really a discovery! Voted up all over and shared! This is just amazing! Where oh where you get these scintillating ideas from, heaven knows. I can't even pick a favourite - they're all so tasteful and gorgeous - and practical too. Gotta save this page. i'm doing it - NOW! Kudos to you, my friend. Hi Sinea, Thank you for the vote up! I'm glad that you like these :) I'm surprised as well by all the different projects that were out there.. I'm definitely going to be saving up some tin cans now. Great to see you..thanks for stopping by! Jamie, I love this hub. Who would have thought that tin cans could looks so good and be used in so many ways. Voted up and beautiful, Jamie. Great job! Sanjida Alam, Thank you! I am glad that you like these :) Thank you for stopping by! I will try many of these. Such great ideas! Movie Master- Thank you, so glad you like these :) Thank you for the vote and also sharing this.. I really appreciate that! Wow! You found a bunch of them. Like you, I love anything to do with recycling in crafts. Thanks for the info on the can opener that doesn't leave a sharp edge. My favorite. I think the faux mosaic.voted up and shared! I love all these ideas, they are so creative! You've put so much work into this hub and it's much appreciated, brilliant, voted up and shared. 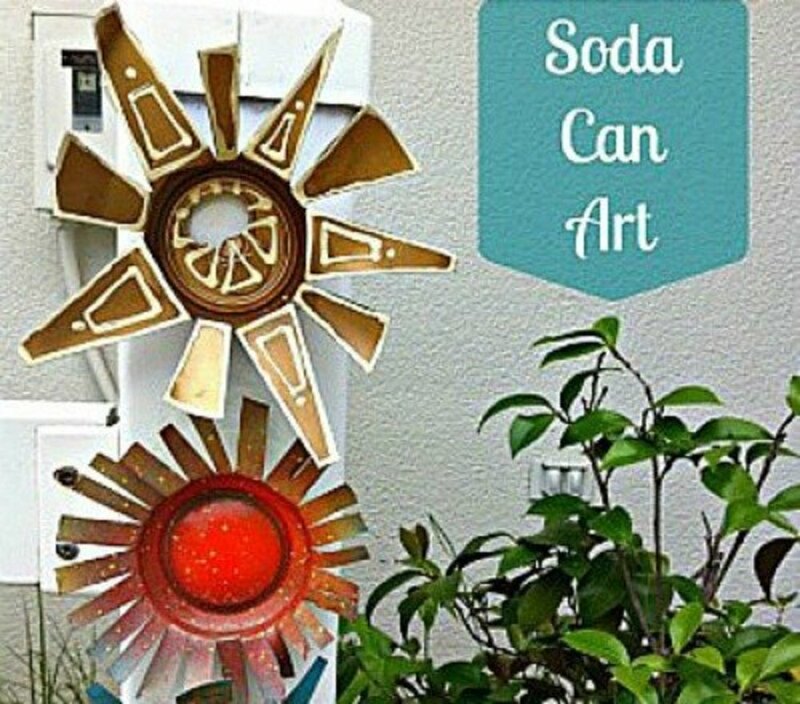 Hello Jamie Brock, this hub gives great ideas since there are a lot of tin cans in every house and lack of ideas how to make them into such artistic and functional crafts. Thank you for this useful, interesting hub. Thank you, Christy! I LOVE that shade too! I had never seen one before.. I was thinking of maybe trying to do a cylinder type one with the smaller round coffee cans-like two of them glued together but it won't be mounted on a base. I'll be sure to post the tutorial if I do it. Thank you so much for stopping by, so great to see you! Hi Rose, Glad you like these :0) I thought about you when I saw the sage green button covered tin.. so cute! Thank you for stopping by! As always you have such practical, yet cute and/or beautiful ideas! There are so many here that I like. My favorites are the primitive tin can candles, the faux mosaic tile containers, the button covered vase, the seed bead planter, the hanging lanterns, and the hanging tuna can holders. You can't even tell they started out as tin cans destined for the compactor! As always, you are so talented! Thank you for these great ideas. Voting you UP, useful, and beautiful! 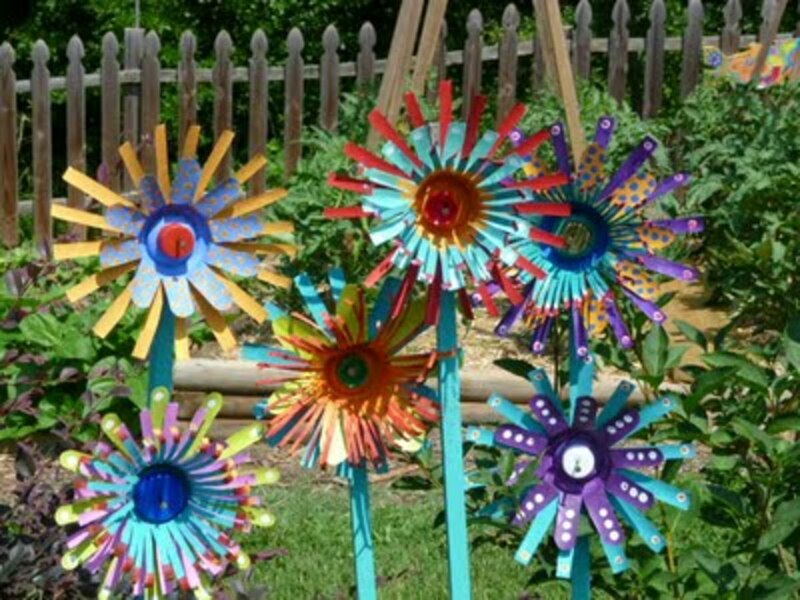 These are all great ways to reuse tin cans and make something nice and beautiful out of them . Love all your ideas and great photos . So many neat ideas you share on your hubs! I like the lamp shade best. Awesome as always, Jamie! Of course I love the beads and buttons, but there are so many great ideas here. teaches, Thank you! I just couldn't get over how cute those little breads in a can are! Who wouldn't love to get one of those? People are just so darned creative.. When I'm researching for this projects I will see something that really impresses me but then I'll find something that tops it! I am definitely keeping the bread in a can one in mind for the holidays.. thanks so much for stopping by! Great ideas to recycle cans! Love the cubby hole idea! 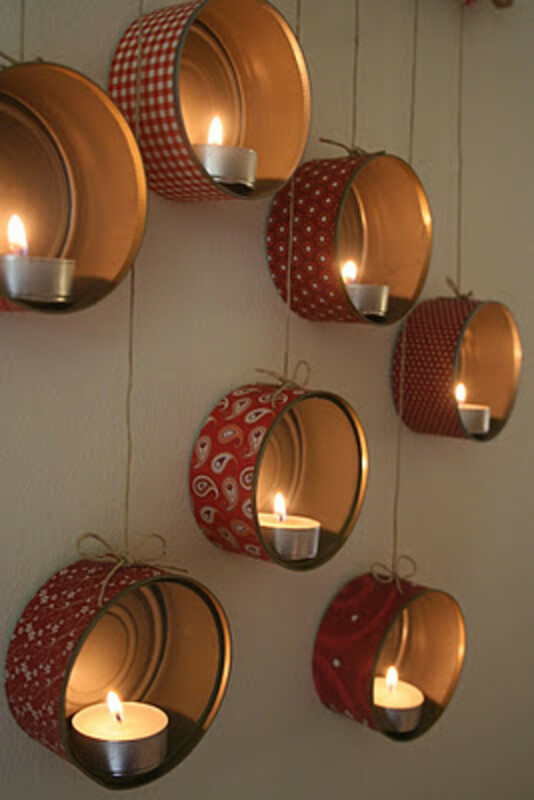 Nice collection of craft ideas using tin cans. It doesn't take extra money to have nice home accessories, or gifts for loved ones. All you need is a little imagination and creativity. Thanks for sharing! Great ideas! 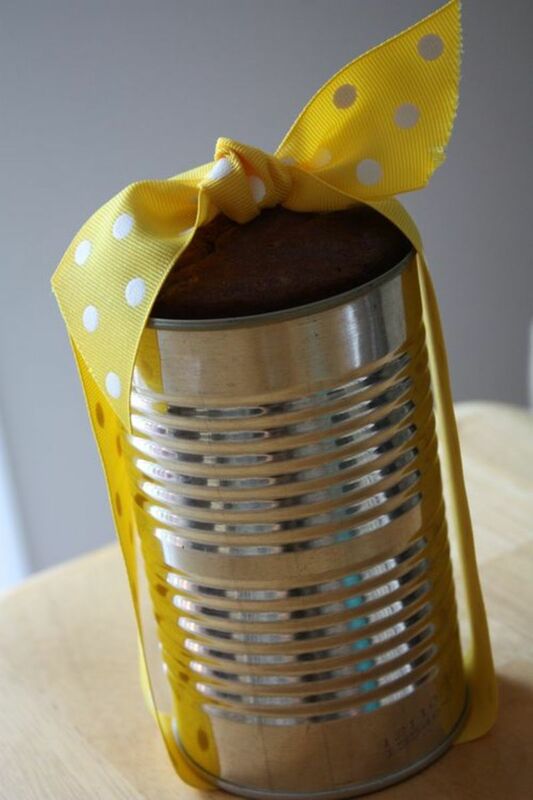 I love the bread in a tin can as it is an unusual gift idea and would be a treat to give. You certainly can come up with some really good topics and so well covered. Thanks for sharing this one. 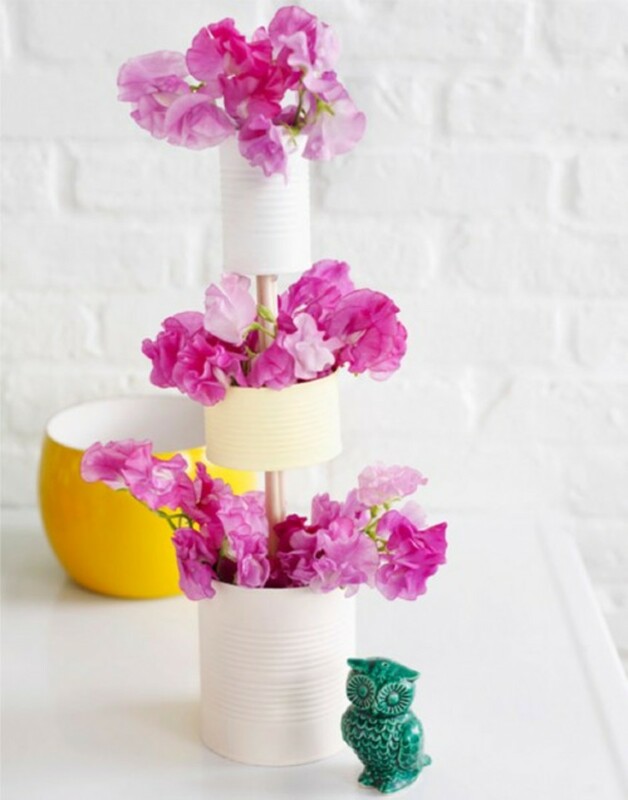 These tin can craft projects are tops! 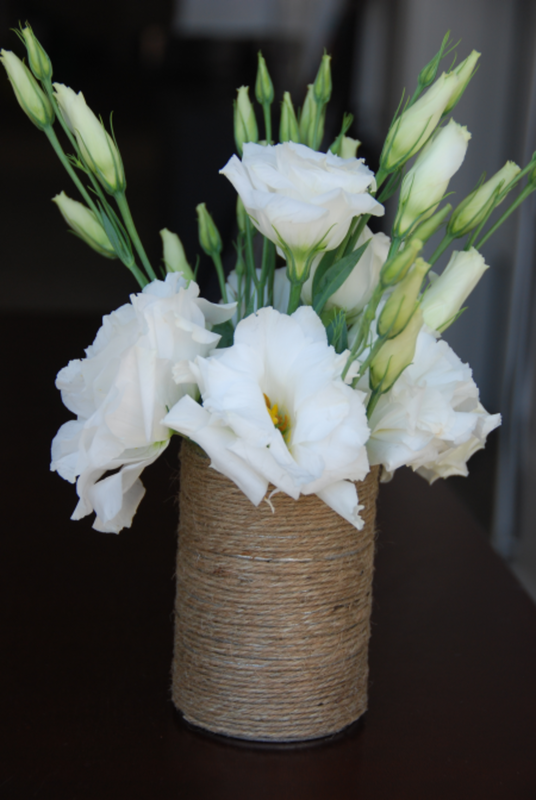 :) I'm liking the jute wrapped vase very much, as well as several others. Thanks!